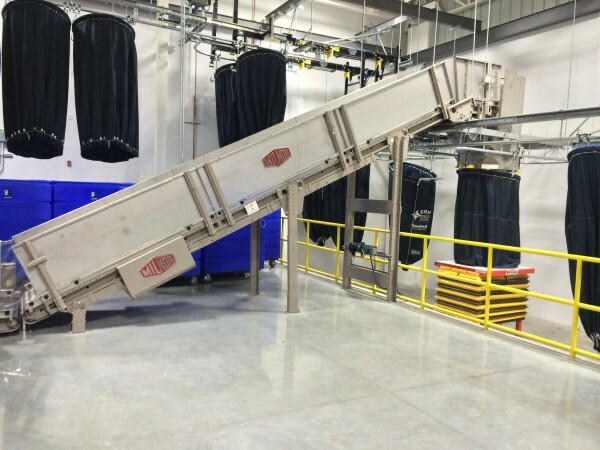 Steiner-Atlantic Corporation’s Ralph Tuccillo jumped on the opportunity and advised the Goodwill team on the well known benefits of PulseFlow Technology, with minimal fresh water consumption, uncompromised wash/rinse quality, and faster process times. 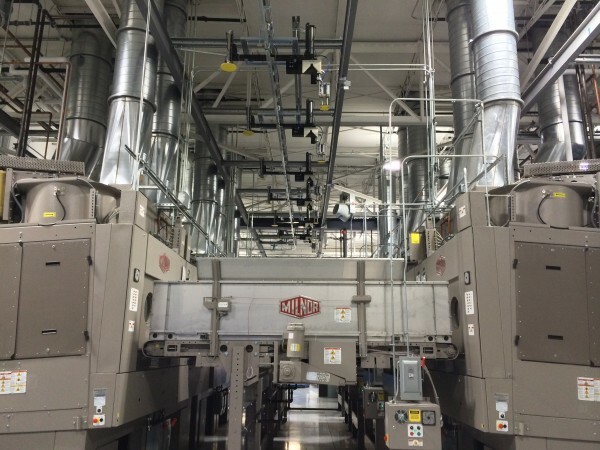 After weighing the options, Goodwill Industries chose Milnor’s PulseFlow Technology over the other equipment manufacturers who bid on the project. Goodwill President and CEO Dennis Pastrana called Goodwill’s entry into the healthcare laundry business “a bold decision” that took eight years to materialize, and is expected to reinforce the diversified entrepreneurial activities that generate the revenues that support the human-services mission of the Miami-based nonprofit. 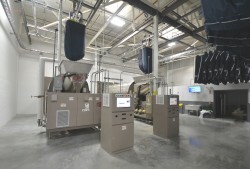 Laundry Manager David Graumlich said, “Ralph was the key point person on the project from the very beginning and on site every day.” Tuccillo’s input was also instrumental in the laundry’s layout and choosing a shuttleless laundry design. The plant is energy efficient, thanks to the two 68 kg (150 lb.) capacity 76039 8-module Milnor PulseFlow® tunnels that process up to 2,100 kg (4,700 lbs.) hourly. These True Top Transfer tunnels (with interrupted counterflow) average fresh water consumption is only 3.49 L/kg (0.42 gallons/lb.). 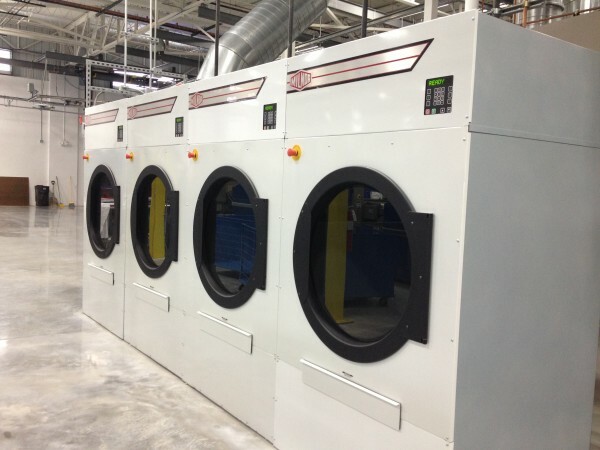 The PBW™ washers that will help the laundry save over 5.6 million liters (15 million gallons) fresh water. Goodwill employs a pair of Milnor MP1656 50-68 kg (110-150 lb.) 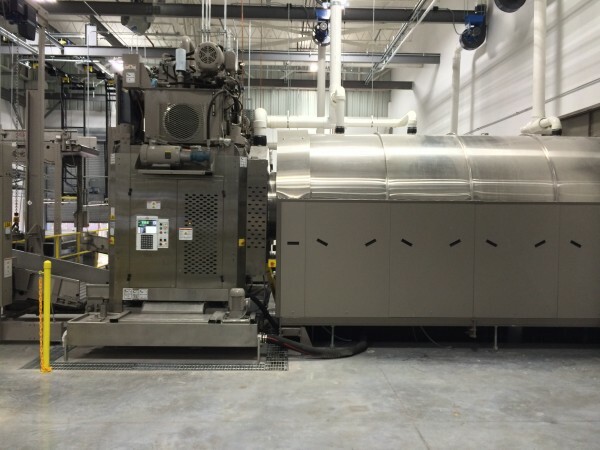 capacity 56 bar single stage presses to extract moisture from the processed goods. 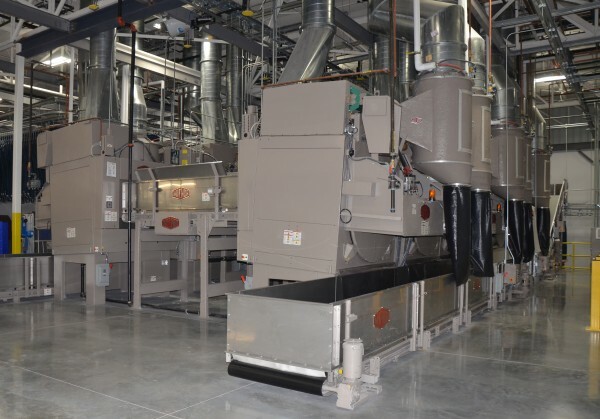 These presses are efficient and reduce maintenance thanks to the optional door-mounted exhaust fan (eliminates chemical vapor exhaust) and the standard ratcheting ram device that rotates the ram 10 degrees after each pressure (prevents wear on the diaphragm). Another benefit of the presses is their wider basket produces smaller (thinner) cakes, which means less moisture retention and shorter dry times. The laundry began processing 1,600,000 kg (roughly 3.6 million lbs.) of linen in September, with production increasing to 5,445,000 kg (roughly 12 million lbs.) by early 2014 and, eventually, to 18,000,000 kg (40 million lbs) by working double shifts. Besides servicing the larger hospitals, the facility features a parallel system of washing and drying equipment to process smaller contracts such as those from rehabilitation centers, neighborhood clinics, nursing homes, assisted living facilities, and hospitals with fewer beds. This dual washing line helps maintain the same cost-effectiveness and efficient service enjoyed by high volume customers. The plant is designed to be a (true) barrier facility. This includes a barrier wall through the whole plant along with negative air engineered the egress openings. 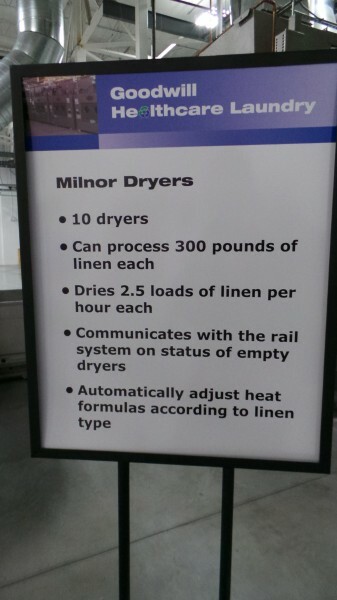 To accommodate Goodwill's barrier concept, the laundry employs two 42044 100-111 kg (220-245 lbs.) capacity Milnor Staph Guard® washers. Goodwill plans to install two more Staph Guard washers soon. 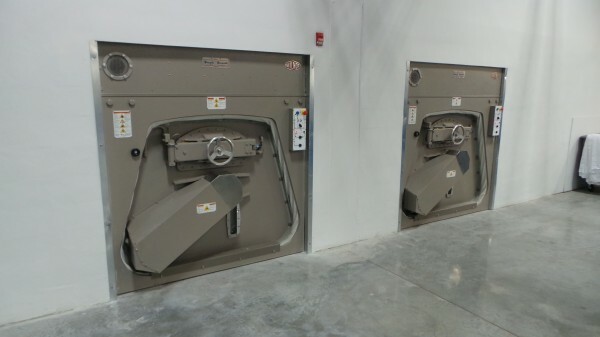 The laundry features many safeguards – such as backup generators – to ensure a smooth operation under adverse conditions, even during and after hurricanes. CEO Pastrana is particularly proud of the laundry’s proximity to Liberty City, where he said the facility will have the added effect of creating 200-plus jobs once it reaches its full 40 million pound of laundry operating capacity to help a community whose unemployment rate is triple that of the entire Miami-Dade County. As a business enterprise with a social mission, Goodwill uses the revenues generated by its four entrepreneurial divisions to significantly support its combination of rehabilitation-driven work programs and creation of employment opportunities. Its four entrepreneurial divisions are: Donated goods, apparel/flag manufacturing, commercial services, and service contracts. The new industrial laundry will be part of the service contracts division. For more information on PulseFlow Technology, visit www.milnor.com/pulseflow_technology. 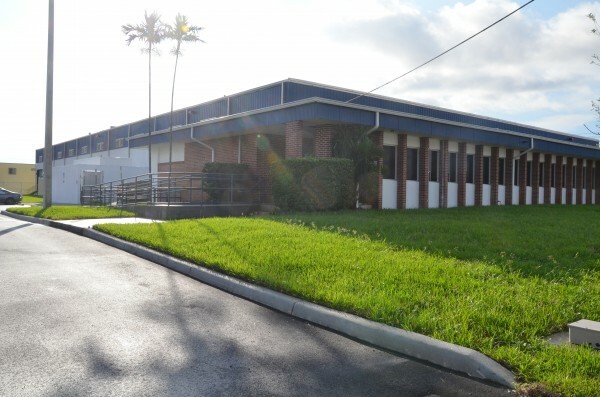 For more information on Goodwill Industries Miami, visit http://www.goodwillsouthflorida.org/.